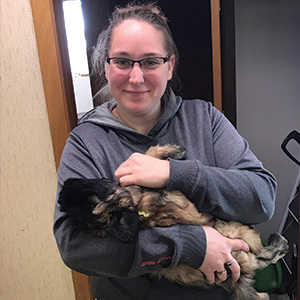 Staff | Southern Hills Veterinary Services, Inc.
Stephani Wintermute has been with Southern Hills for two years now as our receptionist in our Creston office. She grew up in Mount Ayr but now lives in Creston with her husband, Bobby, four-year-old son, Cory, and her lab, Delta. Stephani studied psychology at SWCC. She enjoys spending time with her family, watching movies, and baking. Her favorite part of her job is getting to know all of the unique personalities pets have and watching their progress. Sara Nelson has been a Registered Veterinary Technician in the Corning office since November of 2015. 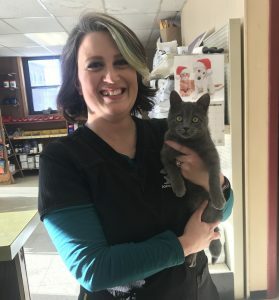 She grew up in Atlantic, Iowa and attended Iowa Western Community College where she received her Associated of Applied Science Degree in Veterinary Technology. She now lives on an acreage by Clarinda with her husband Leeman and their labs, Kimber, Tikka, and Benelli. In Sara’s free time she enjoys bow hunting, fishing, AKC hunt tests, and upland hunting with her labs. 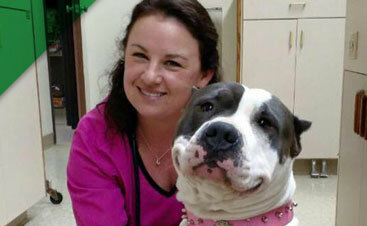 Sara enjoys making pets feel like themselves again and assisting with c-sections. Jill Mitchell started with Southern Hills in 2002 and is now our Practice Manager. Jill attended Iowa Western Community College and Southwestern Community College. Jill is originally from Clarinda, IA but now lives in Prescott with her husband Jason and Miniature Australian Shephard Vegas. 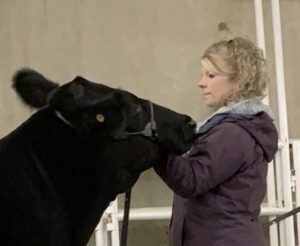 When Jill isn’t in the office, she is raising Angus cattle or going to cattle shows with her niece, Hannah. Jill enjoys working with a variety of animals and learning something new every day. Tiffany Odens has been our receptionist for our Red Oak office for a year and a half now. She grew up in Bellevue, NE but now lives in Red Oak with her husband, Joshua, and son, Sawyer with their dog, 3 cats, and 2 horses. When Tiffany isn’t working she enjoys working with her horses, reading, and watching movies. Tiffany enjoys seeing pigs come into the clinic. 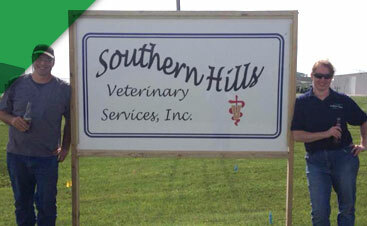 Cara Vanderholm has been with Southern Hills Veterinary Services since December 2010. Most of the time she is a Receptionist/Assistant in the Villisca office, but sometimes fills in at the Red Oak office as needed. Cara grew up South of Stanton, Iowa, showing and raising club calves and being active in 4-H and FFA. She attended Southeast Community College receiving a 2 year degree in Ag Business. Then she continued on to Northwest Missouri State University, getting a Bachelor’s in Animal Science. 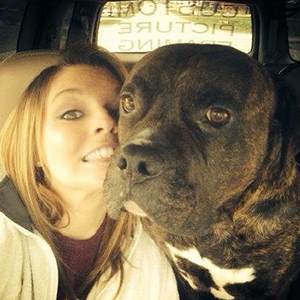 Cara currently lives Northwest of Tenville with her dog Lacey, and two cats named Sammy and Demon. In her free time she enjoys spending time with family, camping, fishing, and helping with her family’s cattle operation. 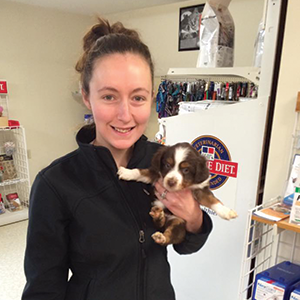 Cara’s favorite part of her job is getting to know the clients and their pets, and helping them with all their needs. 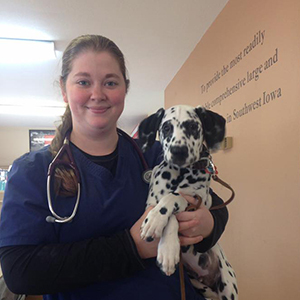 Amber Stender has been with Southern Hills since November 2016 as a veterinary assistant in the Corning office. She graduated from Southwestern Community College with her Associates Degree in AgBusiness. She lives with her daughter Bristol on an acreage south of Massena with their dogs Dixie, a corgi; Rowdy, a border collie/aussie; Scarlett, a red/blue tick; and Sassy, an inside cat. In her free time, Amber enjoys hunting, fishing, doing photography, going racing, and helping on her family farm. Amber’s favorite part about her job is that it is something new each day. She also enjoys large animal c-sections/ ob’s. 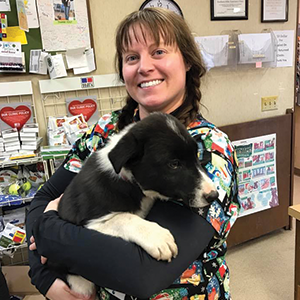 Jessica Stoll has been with Southern Hills since October 2016 as a veterinary assistant in our Corning office. She lives with her husband, Brad, and step son, Layton, in Bedford, along with their dog, Lulabelle, and their sheep. Jessica attended Northwest Missouri State and Kansas State University studying animal science. In her free time, Jessica enjoys going tractor pulling with her husband and performing photography. Her favorite part of her job is helping with ob’s. 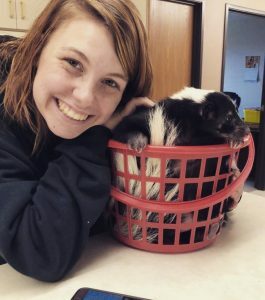 Marissa joined the Southern Hills team in October of 2017 as a veterinary assistant. 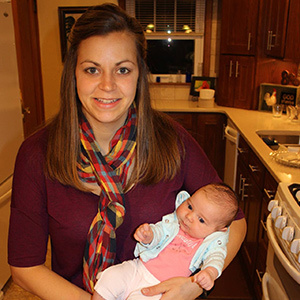 Marissa is a native of Wheatland, Iowa, located in East Central Iowa and moved to Southwest Iowa after marrying Dr. Nathan Sunderman in 2015. Marissa received her Bachelor’s of Science in Animal Science from Iowa State University in 2012. They have a one year old daughter, Adaline, and a second daughter to be joining the family in February of 2018. Marissa and her husband care for their two dogs, Belle, an Australian Shepherd, and Ellie, a Pembroke Welsh Corgi. Marissa’s hobbies include farming, being outside, reading, running, crafting, and spending time with family. She assists with putting on the swine show at the Page County Fair during the summer. Marissa enjoys being able to interact with clients and patients as well as work as a medical team to solve cases. 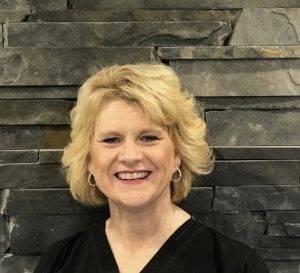 Josie has been with Southern Hills since August of 2018. She is a certified vet tech in Arizona and working on transferring her license to Iowa. She currently lives in Creston with her husband Ryan, two sons, Stoic and Ender. She has her dog Charlie and her cat Wall-E. In her free time she enjoys watching movies, cooking and playing with her kids. Zach started at Southern Hills in August of 2018. 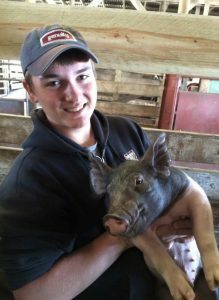 He went to college at SWCC for two years and earned a degree in livestock management. Zach really enjoys working with large animals especially cattle. His favorite part of the job is seeing how animals react to the treatment that our doctors provide. When not working he enjoys helping his dad on the farm (with the help of my dog Nala), going to cattle shows, and hunting. Shelly Preston is the office manager at our Red Oak location. She has been with Southern Hills for a year. 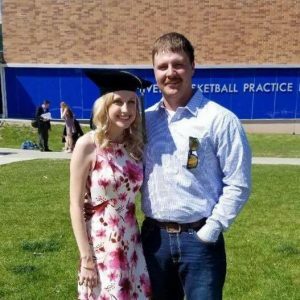 Shelly has lived in Southwest Iowa all of her life following graduation from Essex and attending the American Institute of Business. Shelly is married to Troy Preston and they have two children, Sadie and Slade Graham. Sadie is a freshman at NWMSU majoring in Ag Business and Slade is a freshman at Stanton. In her spare time, she enjoys showing cattle with her children at open shows, county fairs and at the National level. She also enjoys collecting antiques and golfing when she is not chasing Sadie and Slade around! Ryan has been with us at Southern Hills since June of 2018 and is one of our assistants in the Corning clinic. Ryan grew up in Corning and received a degree in Ag Business from SWCC. 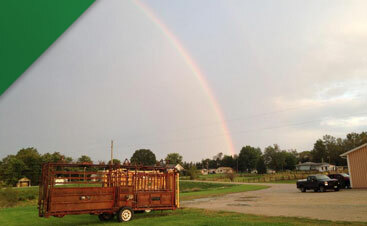 Ryan enjoys working with cattle and spending his time outdoors. His favorite part of the job is getting to go out to all the different farms on the large animal chute jobs and talk to farmers. ©2018 Southern Hills Veterinary Services, Inc. - Do not copy. All rights reserved.